Of course, signs can be merely indicative or suggestive, hinting at areas of possible interest to us, while other signs can be more pressing upon us, urging us strongly to pay attention and heed, because something of great importance is at hand, to which we must attend if we want to benefit by it. Toward the end of the fall season, in U.S. cities gathered around The Great Lakes, there is such a sign common to them all. They are called “the rust-belt cities”, at times in a sympathetic manner. They include places like Buffalo, Cleveland, Toledo, Detroit, Chicago and Milwaukee. They are known for their cold winters and lake-effect snowfalls. But for the resolute denizens of these inhospitable places, they are full of promise for the future, as well as the present. For they are situated near the greatest supply of fresh water in the world, an item coming more and more to be valued and even treasured. For fresh water is coming to be in short supply, and its value is greatly appreciated. For no place survives without a ready supply of fresh water. Another thing they have in common is their proximity to deep-water ports that can accommodate the large freighters that ply their way back and forth on behalf of the industries that keep these cities going. These massive ships, the length of two football fields put end-to-end, travel their plodding ways up and down the length of an extensive waterway, extending from Duluth in the far north to Buffalo on the eastern edge of this water route. All these cities have been industrial sites for over a century, less so nowadays than earlier on, but still engaged enough to contribute to the vigor and productivity, not only of this region, but of the entire landmass of the North American continent. Loaded with iron ore from the region around Duluth, they work their way through the water system comprised of Lake Superior, Lake Michigan, Lake Huron, Lake Erie and Lake Huron, carrying the raw material that will wend its way through the steel factories and mills, issuing forth in the metals that will be transported to other industries, such as the automobile plants, where they will emerge as new products for display, purchase and use. This impressive caravan follows a working schedule, roughly from April to November. For that is when the waterways are open, not frozen up in the cold that dominates the months from December to March. Just as the blade of grass peeking out of the ground toward the end of March, or the robin darting across the sky with sprays of straw in its beak, so the first freighter bearing its iron ore, to be sighted along the waterway of one of these lakes, is one of those signs of the times, that winter has passed and spring is at hand, much like the dove appearing on the prow of Noah’s ark with a sprig of green in its beak alerted Noah to the receding waters of the great flood (Gn 8.11). These were signs of the times, that change is imminent. And by dint of the same token, come the end of November, one begins to wonder whether the freighter spotted far out on the lake’s waterway will be the last one sighted for the season, before the waterways are impassable, frozen shut by impenetrable ice. 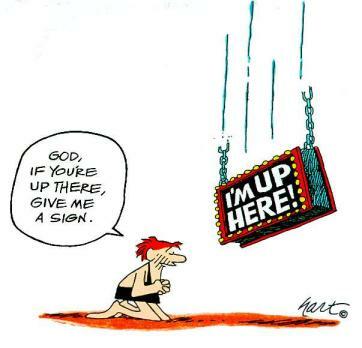 Alertness to these signs helps us keep pace with God’s tempo in our lives. Whether we should hunker down for the hibernating season, or whether we should venture out for a brisk walk along our favorite pathway, is indicated by these signs of the times. We can keep pace with Mother Nature in our responsiveness to the changes around us, whether they be in the form of sprouts, robins or freighters, just as Noah was aboard his ark. Thank you Fr. Sebastian for your very nice reflection. We sometimes forget to stop and marvel at how God is constantly working in our lives and all around us. Thank you. You’re welcome, Evan. God has His hand in all kinds of things.